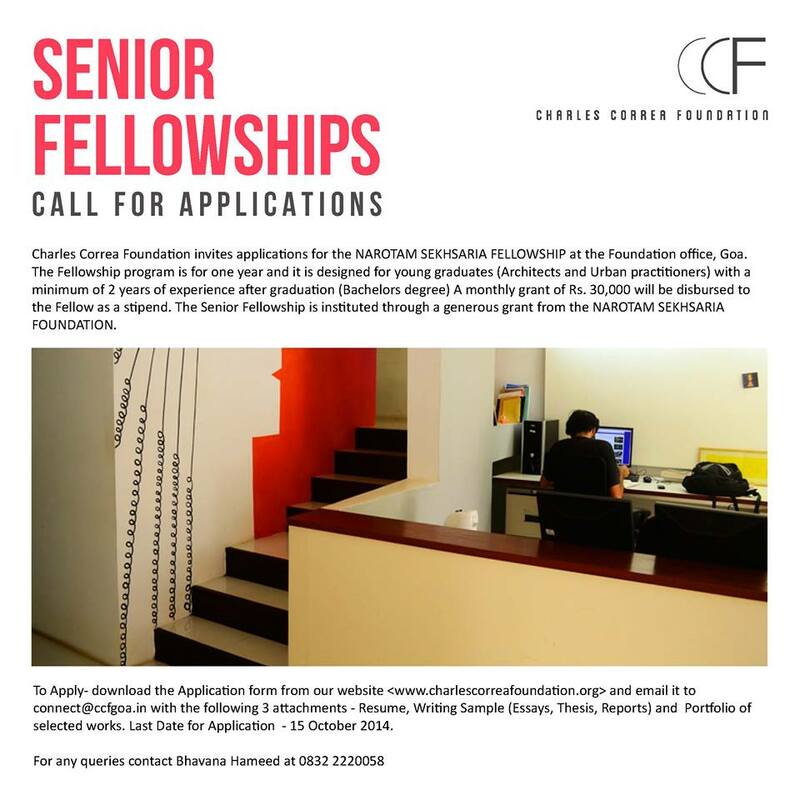 Charles Correa Foundation invites applications for Narotam Sekhsaria Senior Fellowship at the Foundation Studio in Goa. The Senior Fellowship program is for one year and it is designed for young graduates (Architects and Urban Practitioners) with a minimum of 2 years of experience after graduation (bachelors degree). Senior Fellowship at Charles Correa Foundation. The intent of this program is to guide and support the Fellows in incubating ideas or projects that work for the betterment of our natural and built habitat. This program aims to provide them with an exposure and knowledge of urban projects in our country while they contribute to the Foundation’s mandate. The Fellows enrolled will be expected to work on the Foundation projects during their term while also being actively involved in organizing events, lectures, workshops and conferences for the community. It is necessary for the applicants to have good command over the English good writing skills to be able to assist in our research documents and reports. The Fellowship term starts from November 2014 till October 2015. A monthly grant of Rs. 30,000 + expenses allowance of Rs. 3000 will be disbursed to the fellow as a stipend. To apply, download the Fellowship Application Form from CCF website <www.charlescorreafoundation.org> and EMAIL it to <connect@ccfgoa.in> with the following attachments before October 15, 2014. 2. Writing Sample : Essays / Thesis Report / Other Reports etc. 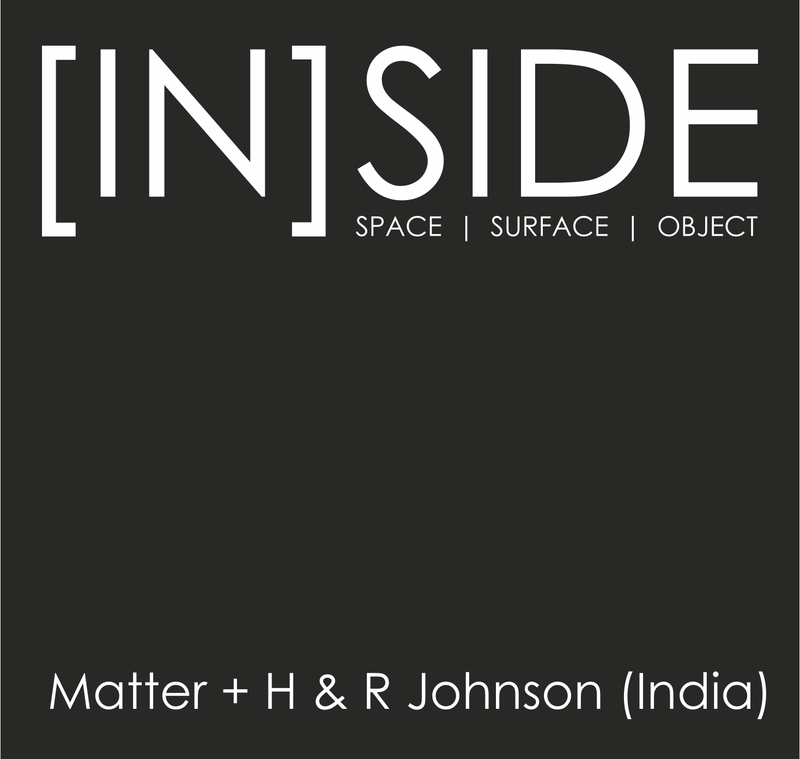 The Senior Fellowship is instituted through a generous grant from the Narotam Sekhsaria Foundation.